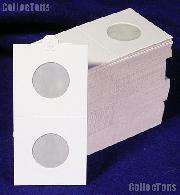 Cardboard coin holders are the most economical product on the market for coin storage and display, priced below $0.25 a piece regardless of type. 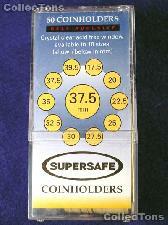 While each coin holder is specific to a particular size or denomination of coin, cardboard coin holders are compatible with coin boxes, albums, display cases and trays. 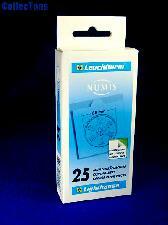 There are two types of cardboard coin holders, staple-type and boxes hold cardboard coin holders and offer this additional protection. 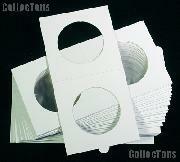 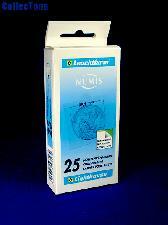 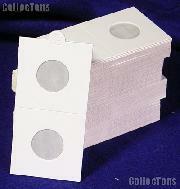 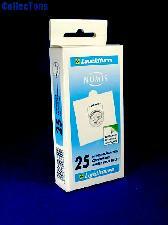 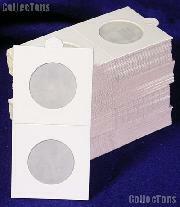 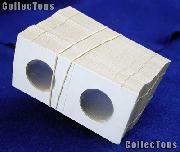 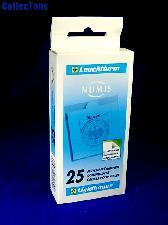 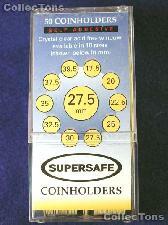 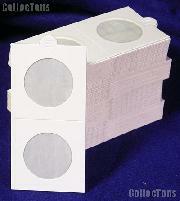 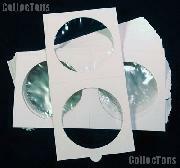 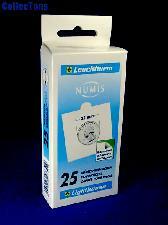 1.5x1.5" staple-type cardboard coin holders for cents, nickels, quarters, half dollars & small dollars. 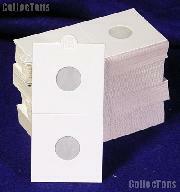 2x2" staple-type cardboard coin holders for cents, nickels, dimes, quarters, half dollars, small dollars and large dollars as well as 2-coin sets, 3-coin sets, Bust half dollars and elongated cents. 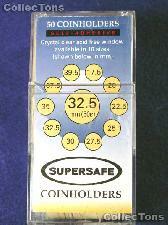 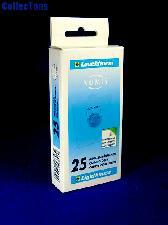 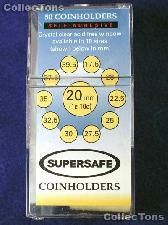 2.5x2.5" staple-type cardboard coin holders for Silver Eagles and Crowns. 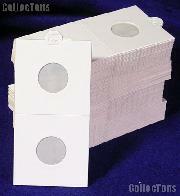 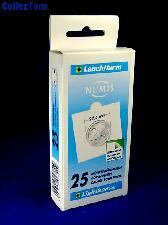 2x2" Self-adhesive cardboard coin holders for cents, nickels, dimes, quarters, half dollars, small dollars, and large dollars as well as 17mm, 30mm, 32.5mm, 35mm & 37.5mm coins. 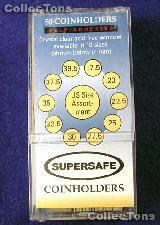 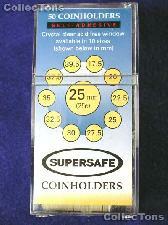 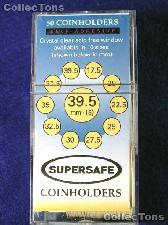 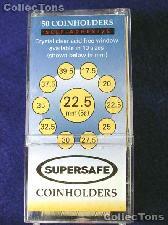 2.5x2.5" Self-adhesive cardboard coin holders for Silver Eagles and Large Crowns (53mm).